Following the district’s recently election contenders incumbent Larry Enos Jr. and his challenger Pete Petrovich each had 51 votes. To decide the outcome of the election both candidates joined elections officials at the Contra Costa County Elections Department in Martinez last month and were instructed to roll a 20-sided die – a.k.a. 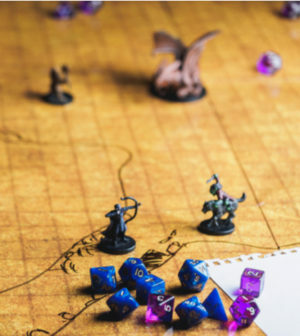 a Dungeons and Dragons’ die — three times. The candidate with the highest total was deemed the winner of the tied special district election. The die-rolling tie-breaker was legal — pursuant to California Elections Code 15651, which states in part: “If at any election … two or more persons receive an equal and the highest number of votes for an office to be voted for in more than one county, the Secretary of State shall forthwith summon the candidates who have received the tie votes … [and] shall at that time and place determine the tie by lot [lottery].” However, elections officials said they could not recall another time in the history of Contra Costa County that a tied special district election had been resolved with the roll of a die. News of the unique tiebreaker process, which was originally broadcast on Facebook Live, was reported by Bay Area newspapers and television stations. But it quickly spread from coast-to-coast being reported by the likes of the New York Post, FOX News, Washington Examiner and then beyond, having been picked up by even newspapers in London. Seven-year incumbent Enos Jr. is ready to serve his next four-year term with the 100-plus-year-old BBID. “While this process was certainly different than what I expected, I’m grateful for the opportunity to continue serving on the BBID Board,” Enos Jr. said. In addition to Enos Jr.’s Division 1 being decided other BBID board elections were less dramatic. BBID’s Division VI in San Joaquin County will continued to be filled by Charles Tuso who ran unopposed. BBID Board Vice President Tim Maggiore of Division III also ran unopposed and was reelected for another four-year term.